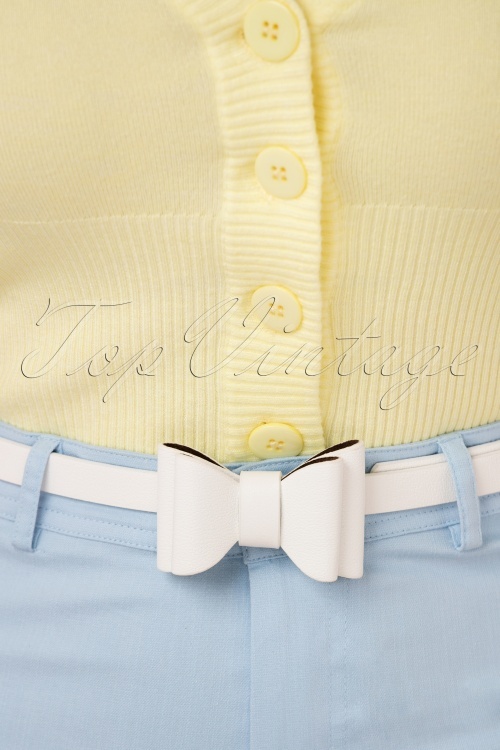 Does this 50s Cute Bow Belt in White complete your vintage outfit? Of course she does... just like putting a bow on a present! This elegant, narrow belt is made of faux leather in off white featuring a cute double bow. She will always fit because she is adjustable, so you can even opt to wear her high in the waist or lower on your hip, perfect! Time to add this must-have to your wardrobe! Het blauwe jurkje is echt geweldig.